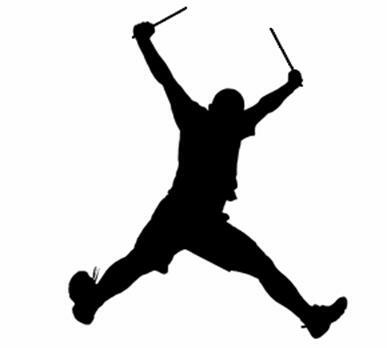 i am working on a drum project that will include this logo – am considering some catchphrases like “idrum” – and “get wings – drum”…you are invited to enter a phrase in the comment section…the winner will win a t-shirt with the logo and winning phrase on it! This entry was posted on Tuesday, December 9th, 2008 at 12:18 pm and is filed under t-shirts and merchandise. You can follow any responses to this entry through the RSS 2.0 feed. You can leave a response, or trackback from your own site. wow – some very admirable entries there! great stuff!! !